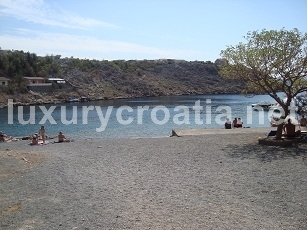 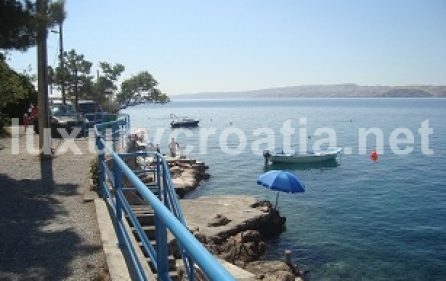 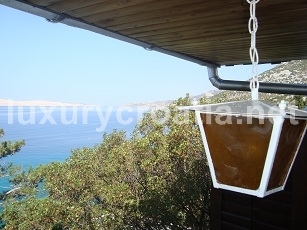 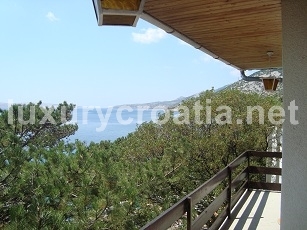 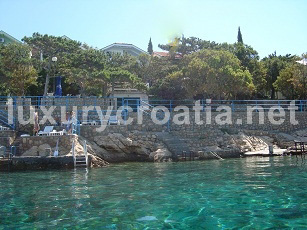 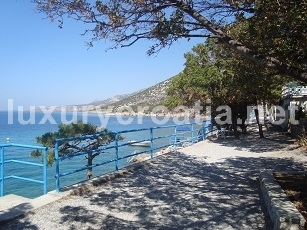 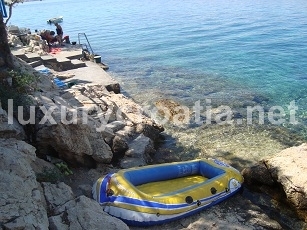 Karlobag, First row to the sea, Attractive house on the most beautiful isolated location. 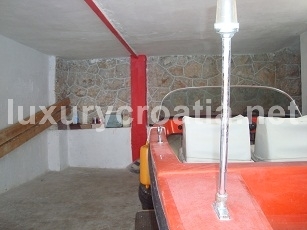 The house has 120 sq m, 20 sq m of garage area and 38 sq m of private parking. 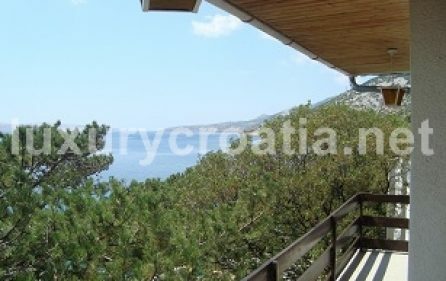 It has 4+1 rooms, 2 bathrooms, a kitchen, 2 big terraces + 2 balconies with a beautiful sea view. 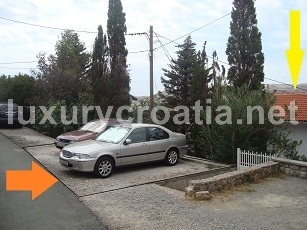 Boat garage (20 sq m) + 3 gardens with centuries-old cypress trees are also there. 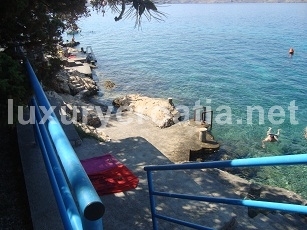 20 m below the house there’s a boat berth, a secluded concrete beach + a new, fenced walkway along the whole town coast. 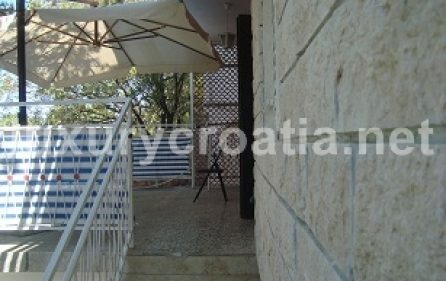 The plot size is roughly 180 sq m, it has been partially fenced by a stone wall. 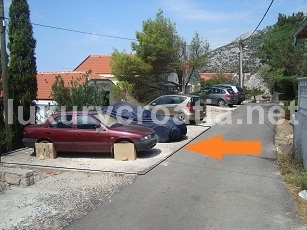 It spreads all the way to a new asphalted local road by which stands a private parking for 3 cars (38 sq m). 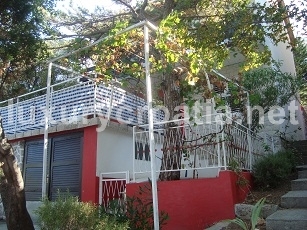 There is enough room for a possible upgrade or building addition. 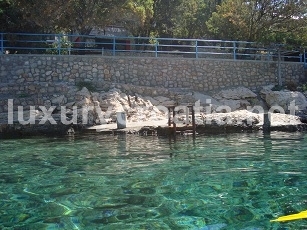 If you decide to walk, it takes you 10 minutes to the centre of the town. 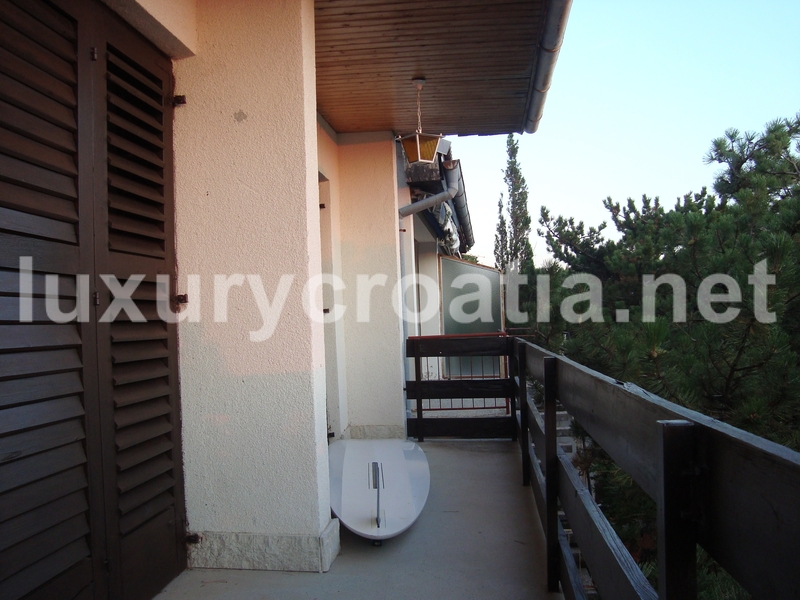 The city water system, electricity and sewer are installed. 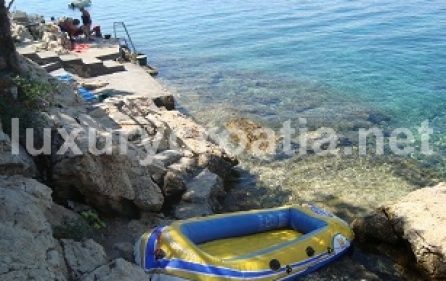 In addition, there is an option of buying a boat and a little-used mercury 50hp engine. 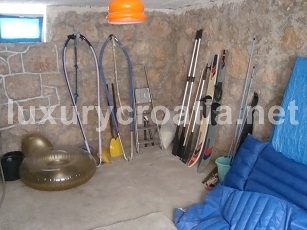 Documentation is orderly. 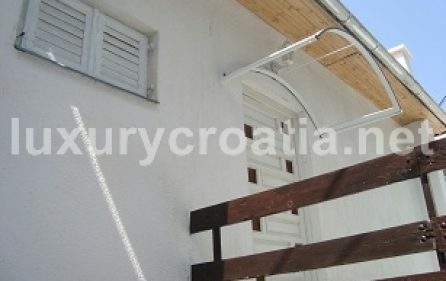 Property is certificated with energy class D.
Katnica, u prvom redu do mora na najpoželjnijoj središnjoj povišenoj lokaciji. 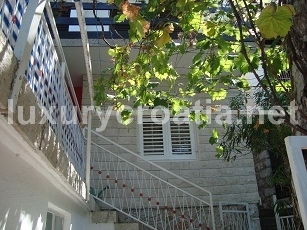 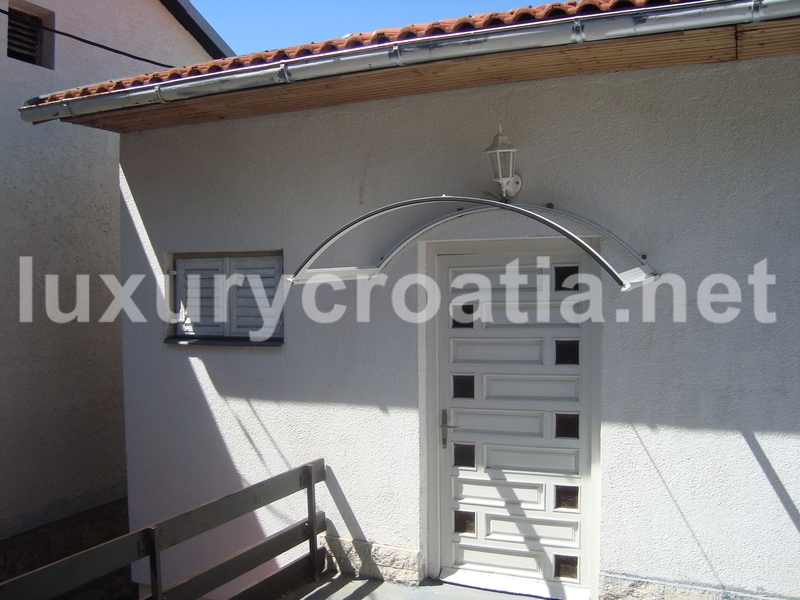 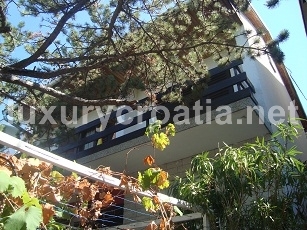 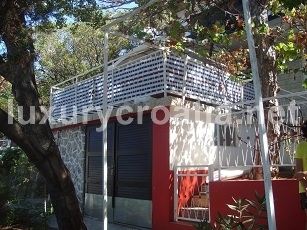 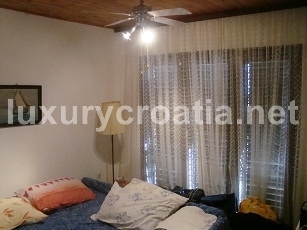 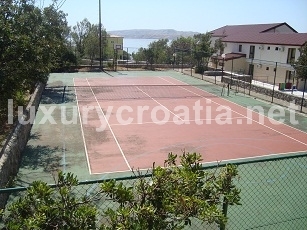 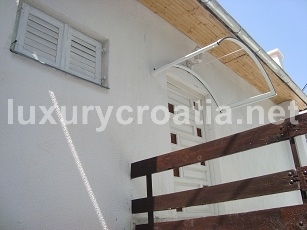 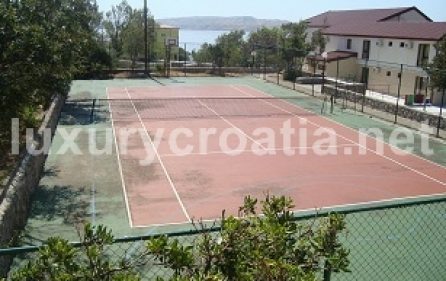 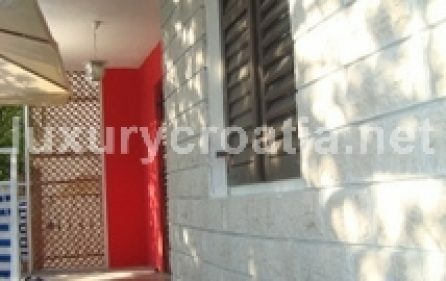 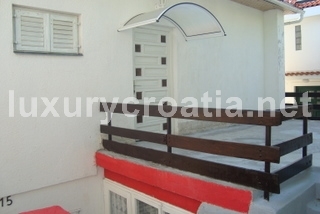 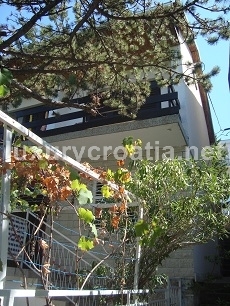 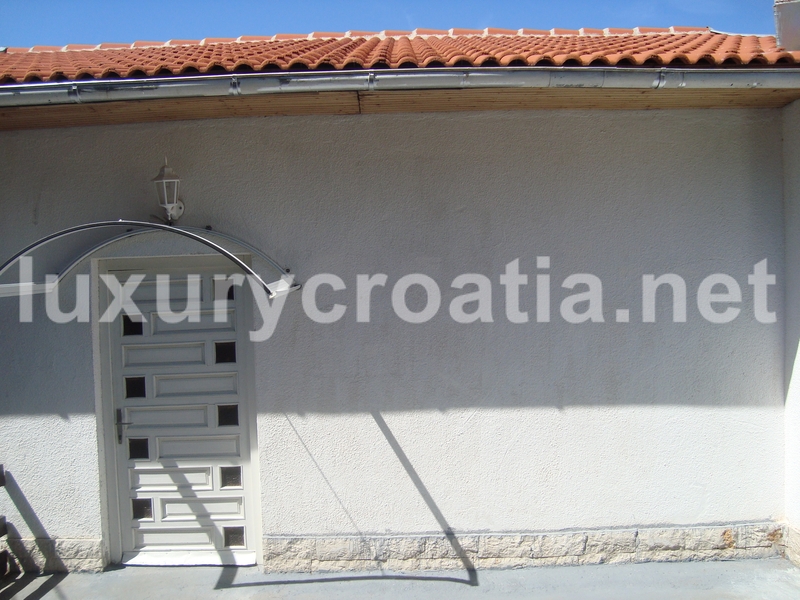 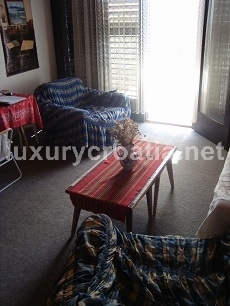 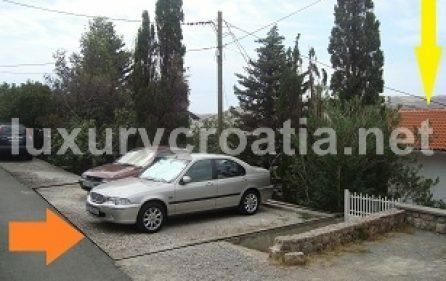 120m2 + garaža(20m2) + privatni parking(38m2). 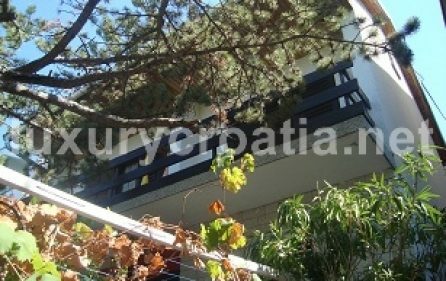 1/1, bez tereta. 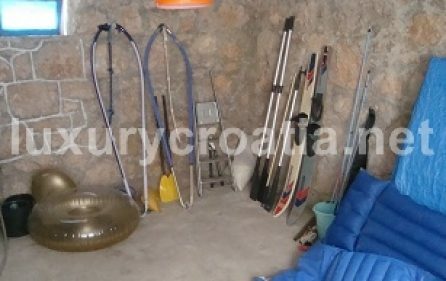 Površina kuće: ca.120m2- 4 +1 soba, 2 kupaonice/wc, kuhinja, 2 velike terase + 2 lođe s vrhunskim pogledom na more. 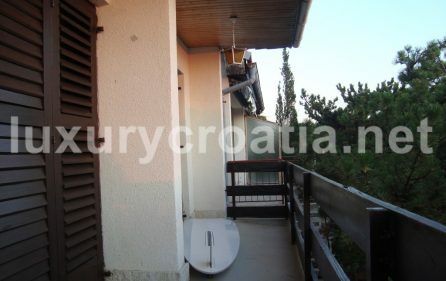 Garaža za čamac (20m2) + 3 vrta sa stoljetnim borovima, čempresima, i dr. Odmah ispred kuće (20 m niže)- sidrište za čamac, uređena ograđena betonirana plaža te nova ograđena šetnica duž cijele obale naselja. 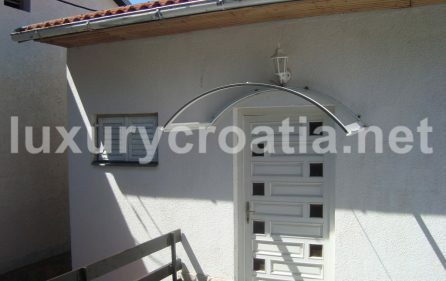 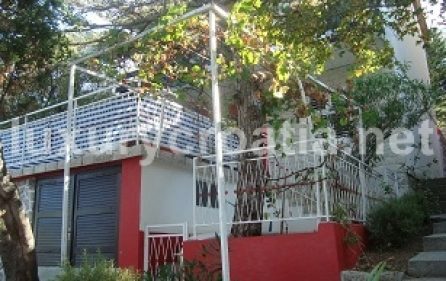 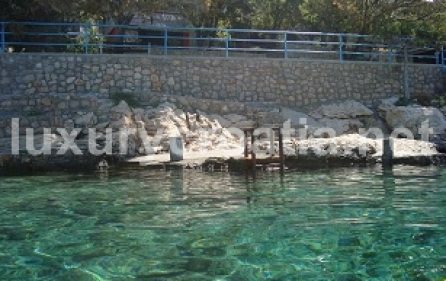 parcela: ca.180 m2- uređena i dijelom ograđena kamenim zidom. 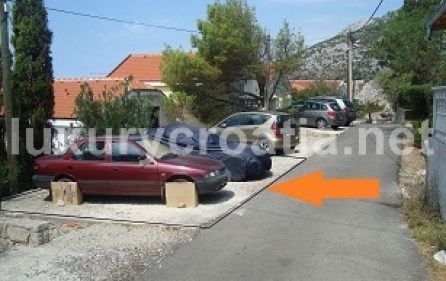 Prostire se sve do novo asfaltirane lokalne ceste, uz koju se nalazi privatni parking za 3 auta (38m2). 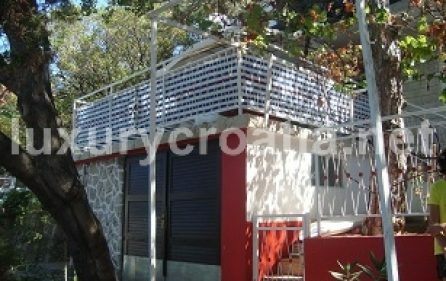 opcija: na parceli još ima dovoljno prostora za eventualnu dogradnju/novogradnju. 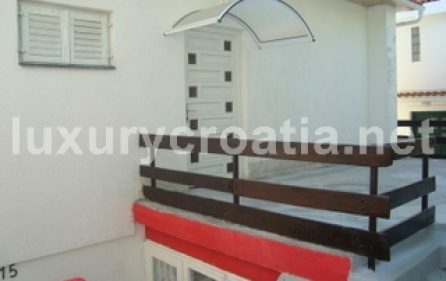 10min šetnje do centra grada. 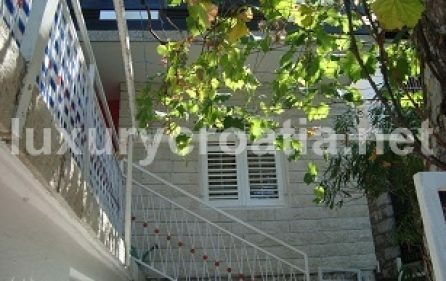 Gradski vodovod i struja, nova kanalizacija, etc. 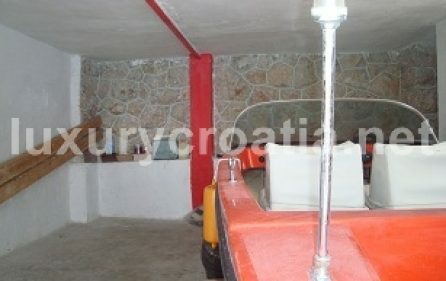 mogućnost kupnje i čamca te malo korištenog mercury 50ks motora. 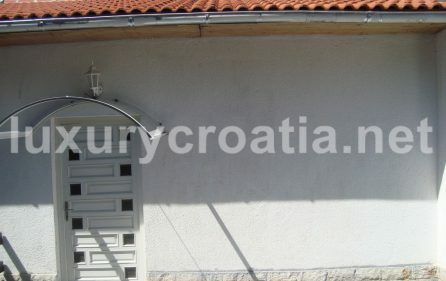 Kompletna Dokumentacija. 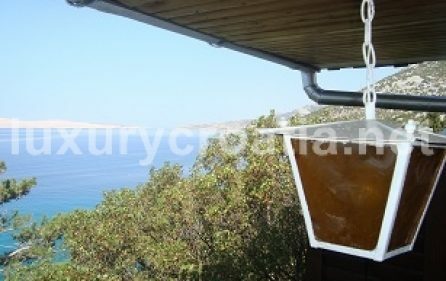 Energetski certifikat razreda D.